If I had to choose between a lifetime of cooking or a lifetime of baking I would without hesitation reply that my fate was to cook always from there on in. My baking repertoire therefore consists of items that don’t require very much patience and that almost always without fail, despite my lack of precision upon execution, come out perfectly each time I make them,. 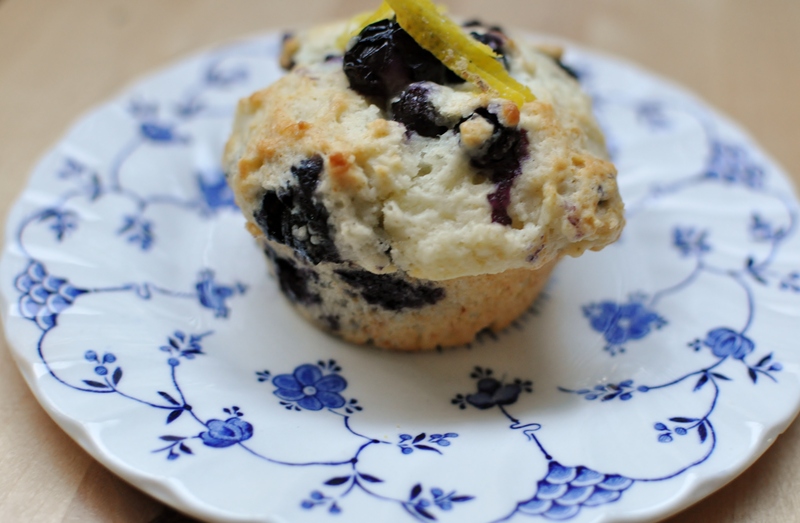 These blueberry and lemon yogurt muffins fall neatly into each of these categories – the lemon Greek yogurt ensures a dense, cake-like crumb (very appropriately as these are good muffins to have for dessert or with Earl Grey tea.) I am now blissfully surrounded by local blueberries that are deep navy blue and somehow sweetly tart when you bite into them – the brief sojourn in the oven intensifies the sweetness and makes them taste like a blueberry preserve. I like these hot out of the oven with some good salted butter or at room temperature with a cup of the aforementioned Earl Grey tea with lemon. 1. Preheat oven to 375 degrees. Line or butter a 12-cup muffin tin. 2. Combine the lightly beaten egg, yogurt, oil and lemon juice and zest in a large bowl and whisk until mixture is glossy and smooth. In a separate bowl combine the flour, sugar, baking powder/soda and salt with a fork until completely mixed. 3. Pour the wet ingredients onto the dry ingredients and stir in the blueberries. Very gently and with as few strokes as possible combine all the ingredients until the batter reaches a slightly undermixed yet cohesive whole. 4. Using 2 spoons drop the muffin batter into the muffin cups, there should be enough for each cup to receive a large scoop of the mixture. Bake for 15-20 minutes or until a fork comes out clean when inserted into the centre of a muffin. Happy twee summer music at its best; I started loving this album in grade 11 and I have loved it ever since. For each season I tend to justify a reason to listen to this album over and over again but I really do think it’s most appropriate for an August Sunday afternoon spent baking muffins and drinking iced black coffees. Time to go to a family dinner and we get to bring your watermelon salad which i have not had since this time last year. 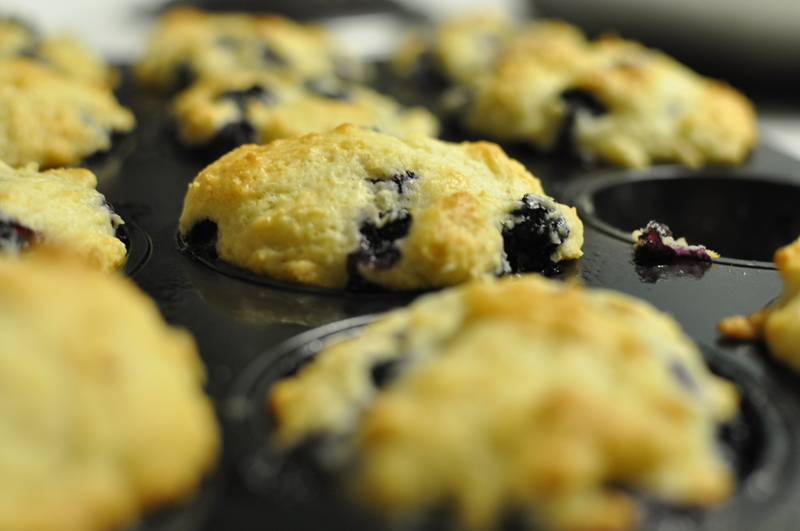 Then for the ocean weekend trip these blueberry muffins well be a great treat for the two young girls besides me. I am sure this tastes great! I love blueberry muffins! Wonderful! I wish we could get blueberries here in India too.